[Ottawa – July 23, 2016] The summer has seen an unusual amount of drama ranging from the shocking Brexit result through racial violence in the United States and a seemingly endless barrage of serial atrocities; most recently the horrific carnage in Nice. A coup attempt in Turkey and civil war in Syria all contribute to the sense of danger which seems endemic to our age. [Ottawa – June 14, 2016] The purpose of this report is to provide a retrospective on how citizens are scoring the parties and leaders after the first session of Parliament. CBC commissioned EKOS Research Associates to conduct a survey of Canadians’ views on the economy, energy, and the environment. If Canada Is So down, Why Is Stephen Harper So Up? GOVERNMENT CURRENTLY IN SYNC ON CULTURE AND SECURITY, BUT WHAT ABOUT THE ECONOMY? 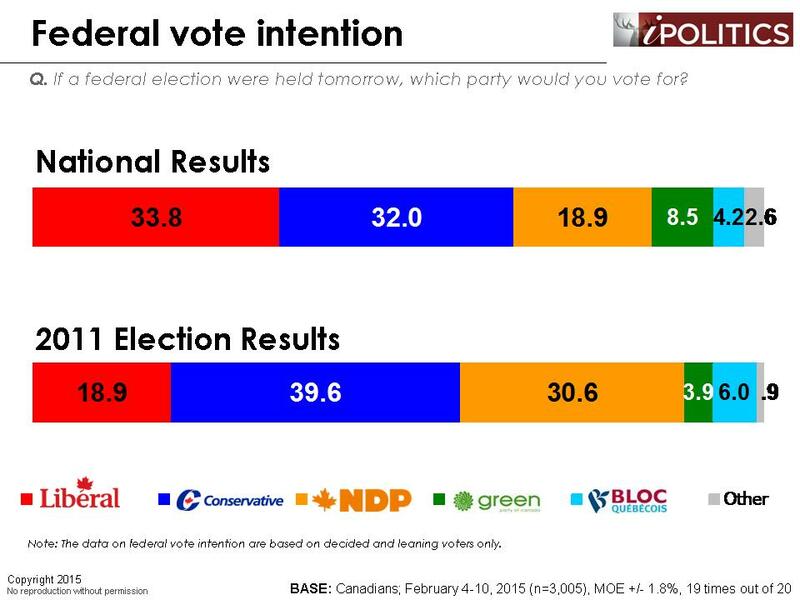 [Ottawa – March 13, 2015] It’s a painfully dull week on the vote intention front and there is little to report as the Conservatives and the Liberals seesaw endlessly back and forth for the lead. It is anecdotally noteworthy that the Liberals are at their lowest point since July 2013, but they’re only slightly off from their average showing over the past few months and they’re just two points shy of the lead. Conservatives Slide Slightly: Is the Terror Card Losing Force? 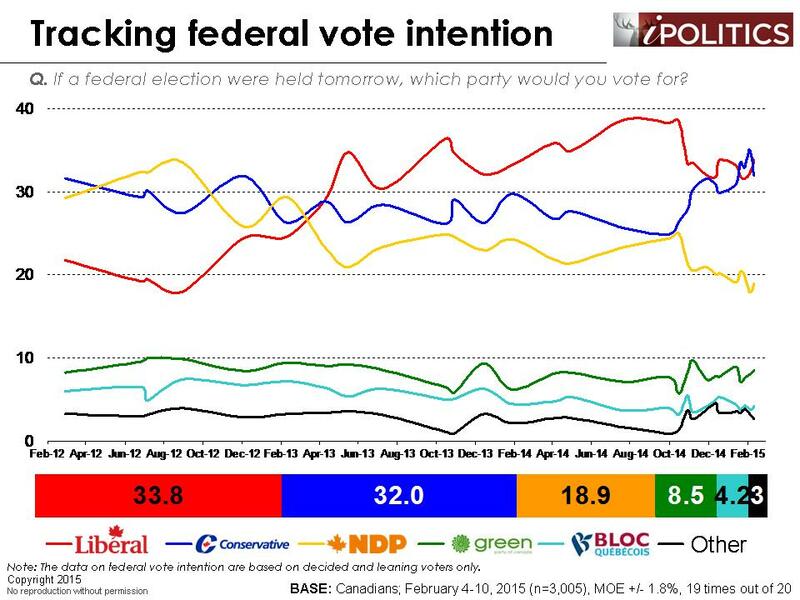 [Ottawa – February 13, 2015] In a week blissfully free of any new terror atrocities, it appears that the security wave which propelled Stephen Harper into a clear lead has lost momentum. The Conservatives have declined three points and the Liberals have risen (an insignificant two points). In examining the demographic and regional shifts, which are modest, it fits with the hypothesis that the lower salience of security in a week with no beheadings or burnings is the factor underlying this modest but statistically significant shift. It’s the Economy, Stupid! …but which one? [Ottawa – December 9, 2014] If age was money, then Canada would be obscenely rich because we are getting really old. Some basic statistics underline just how vivid our aging has been. As we approach our sesquicentennial, it is worth noting that at our centennial, our median age was around 26. The current median age which demarcates older and younger Canada is 41 and rising. Robert Stanfield most likely would have beat Pierre Trudeau in the photo-finish election of 1972 if they had competed in this political marketplace.